Mitch Clark, in action while on loan at Featherstone Rovers earlier this season. Picture Tony Johnson. CASTLEFORD TIGERS will focus on their own game in a bid to spoil Kevin Sinfield’s welcome home party. Former Leeds captain Sinfield returned to the club yesterday as director of rugby and James Lowes has been appointed first team coach. We weren’t up to our usual standards. At home against Leeds, we are looking for a real improvement. The duo’s first game in charge, following the sacking of previous boss Brian McDermott, will be a Betfred Super League derby at the Jungle tomorrow. 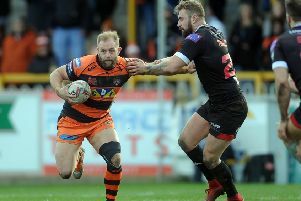 Castleford prop Mitch Clark, whose father Trevor played for Leeds in the 1980s, knows a change of coach can make teams more dangerous, but insisted Tigers have to get their own house in order after last Saturday’s 44-16 loss at Catalans Dragons. It will be the first time Clark has played against Rhinos in a competitive game. “It will be tough, especially when they’ve sacked their coach in the week leading up to the game,” he said. 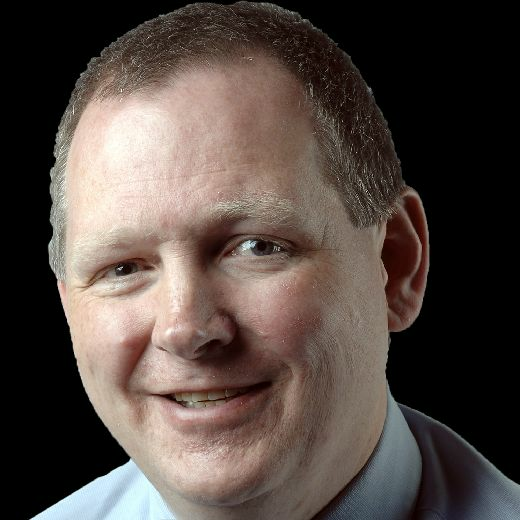 Clark admitted: “Last week was disappointing. “Catalans were a completely different side to what they were at the beginning of the season, they definitely stepped up and they are hard to beat at home. Clark joined Tigers in the close season from Hull KR and has also played for Doncaster and Bradford Bulls, as well as on loan at Featherstone Rovers this year. “I am really enjoying it,” he said of his time at Castleford. “I only had my first game not long ago, but it has been great. Tigers coach Daryl Powell felt Clark was the only player to impress in last week’s defeat.